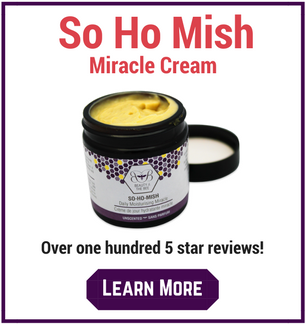 By using the products of the hive in bee pollen recipes and smoothies on a daily basis, you will find a new level of vitality, energy and health. I am a fairly active individual. I am a working mother of two and I train for half marathons and triathlons and do the odd bike race. I also enjoy training with weights and doing Yoga. As a result of my activity level, I need the absolute best nutrition I can put in my body....or I suspect I'll end up burnt out! These recipes allow me to have energy at the end of the day to do those things that most of us are too tired to do such as laundry, cleaning or going out with friends and family. And that is what vitality is - making it to the end of the day without needing stimulants like coffee to do it. I attribute the “energy” effect of Pure Bee Pollen to several things - the Branch Chain Amino Acids it contains, the trace minerals and a little bit of factor X – (the unknown compounds it contains). 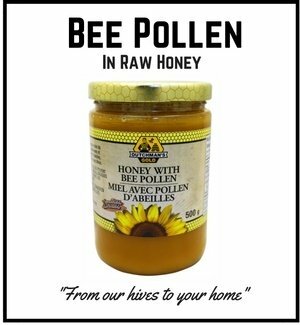 The fact is my body craves the nutrients found in bee pollen. 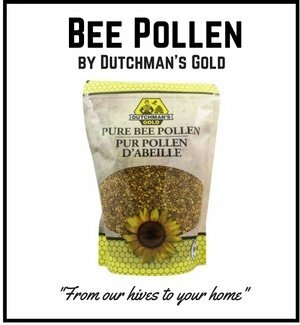 Please note that for the bee pollen recipes below I have given Dairy Free Options and Gluten Free options for those with allergies or intolerances. Blend all ingredients together in a Blender for 30 seconds or until desired thickness is achieved. Place all ingredients in blender and blend until creamy and smooth. Makes about 10 ounces – a light breakfast/meal for one. NOTE: You can also add 1 TBSP Peanut Butter or Almond Butter for extra energy. Combine egg, juice, honey, and pollen granules. Beat or shake until well blended. Serve immediately. Makes one serving. Serve cold. This drink makes an excellent breakfast drink for those in a hurry or on a hot summer morning. 1 cup Frozen berry blend (blueberries, strawberries, blackberries) Organic preferred. Combine fresh peaches and honey in a container or blender. Add half the milk; beat and blend. Add the remaining milk and almond extract and half of the ice cream. Beat until smooth. Pour into 4-6 tall glasses, top with the balance of the ice cream. What a great healthy treat! Combine eggs with honey and Bee Pollen and mix well. Beat in milk and vanilla. Sprinkle lightly with Nutmeg. Makes 2 servings. 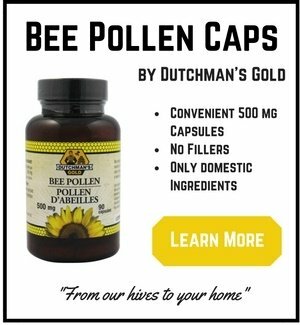 ﻿How Much Bee Pollen Should I Take?